Thank you for standing in solidarity with West Papua. Through collective actions we show the people of West Papua they are not alone. By sharing news and shining a light on West Papua you can help protect them from further brutality and abuse. Every small action makes a difference. 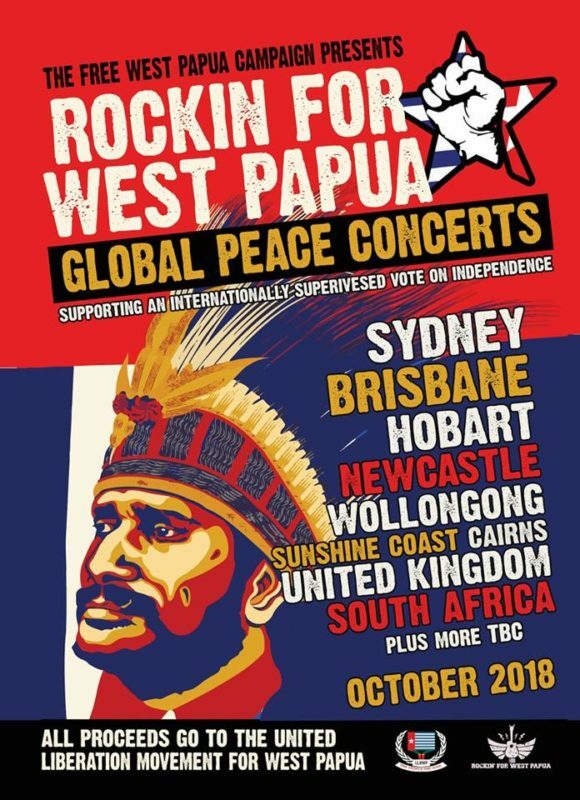 The Free West Papua Campaign invites artist’s, musicians, and promoters around the world to participate in this year’s ‘Rockin’ For West Papua’s Global Peace Concert planned to take place in October 2018. Last year more than 75 bands, in 33 cities, on 4 different continents stood in solidarity with the people of West Papua and helped shine a light on the ongoing genocide and human rights abuses through music. This year we hope it to be bigger again, and so far musicians and artists from across Australia, New Zealand, UK, Europe, South Africa, and Ghana will be joining us throughout October to raise awareness for West Papua &#Musicisaweapon! Please go to the Rockin’ Facebook page for events planned so far, and get in touch with ash@freewestpapua.org or kate@freewestpapua.org if you want to get involved. 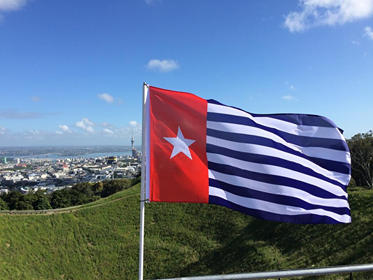 Each year we ask supporters to take photos of themselves holding the Morning Star flag in solidarity with West Papua and each year it gets bigger and bigger, evidence that the world is increasingly rising up and becoming aware of the situation in West Papua. Last year we go over 70 photos from around the world of people joining our flag raising, from individuals, to organised group events, and raising flags above town halls, on mountains, under the sea, and with public figures. 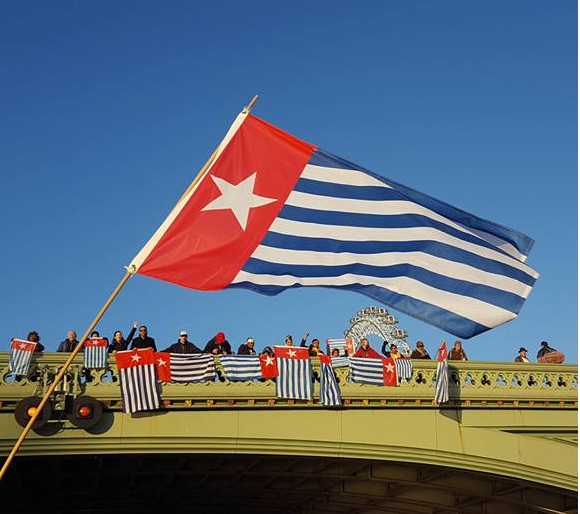 These images from around the world are sent to West Papua in solidarity. This year we hope it will be the biggest yet, and to have many more photos from locations and countries on the map raising the Morning Star flag. More information coming soon. Sign up to our newsletter. We will update you on news from West Papua and let you know of any upcoming actions. Donate to our campaign. 100% of all donations go to helping us expand our work, and supporting the ULMWP. Join our Facebook, and Twitter, and Instagram. Go to our action page to see the many ways you can help Free West Papua, including writing to your local MP, campaign ideas and materials you can print out. Thank you for standing with the people of West Papua.